Overboard, Tully and Bad Samaritan open in movie theaters nationwide this weekend. The trio highlights the Weekend Movie Guide this week. Moviegoers in St. Louis can also see Isle of Dogs at Hi-Pointe or Tomb Raider at Keller 8 Cinema as well. Maze Runner: The Death Cure, Peter Rabbit, Winchester and 12 Strong are all among the movies now available to rent at your local Redbox. See Avengers: Infinity War or A Quiet Place this weekend in downtown St. Louis at MX Movies. Overboard, Bad Samaritan and Tully open in movie theaters across the country this week. They highlight the Weekend Movie Guide from RealLifeSTL. It was never a question whether Avengers: Infinity War would rule the box office over the weekend. The question was just how much would it make? Domestically, the film pulled in just shy of $258 million worth of receipts. Worldwide it topped $630 million and as of this writing it has taken in more than $840 million. Infinity War managed to top the $240 million prediction we shared with you last week. A Quiet Place continued its strong box office run, taking in $11 million in its fourth weekend of release. The film with a budget of just $17 million has now topped $150 million domestically. Black Panther earned $4.7 million last weekend in its 11th weekend of release. Sitting above $688 million domestically as of this writing, if could top $700 million before its theater run is over. Don’t let the fact that this remake really shouldn’t have been made keep you from going to see it. This Overboard will probably be enjoyable, but do yourself a favor and sit down to watch the original too. Just hold the remake to that standard. Todd M. Thatcher predicts an opening weekend of $7.8 million for Overboard. Variety compares Bad Samaritan, in theaters this weekend, to Silence of the Lambs in its review of the film. Kerry Condon, Robert Sheehan and David Tennant star in the thriller about two men who break into a home with the intent to rob it, but end up finding a woman held captive. Condon plays the captive woman while Sheehan is the would-be burglar and Tennant this homeowner. 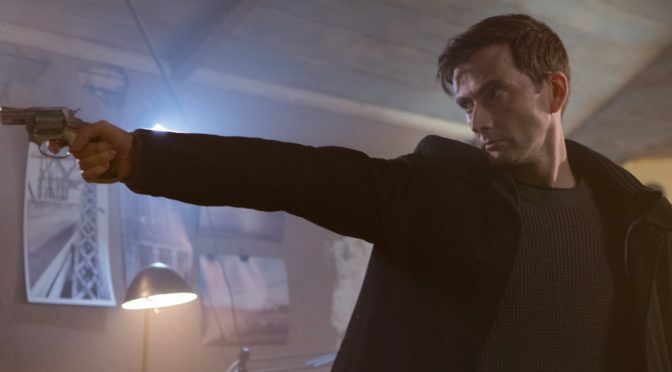 Todd M. Thatcher predicts a $2.1 million opening weekend for Bad Samaritan. Tully, in movie theaters this weekend, stars Charlize Theron as a mother dealing with postpartum depression. The film has generated enough controversy before its release that writer Diablo Cody , who also wrote Juno, talked to The New York Times about it. Her words were in response to people like those complaining to Postpartum Support International having only seen the trailer for the film. Director Jason Reitman, Theron and Diablo also collaborated on the 2011 film Young Adult. Theron earned a Golden Globe nomination for her portrayal of a divorced, alcoholic writer in the film. Todd M. Thatcher predicts an opening weekend of $5 million for Tully. Tully plays at Hi-Pointe Theatre while Isle Of Dogs moves to Hi-Pointe Backlot this weekend. Tomb Raider, starring Alicia Vikander as Lara Croft, opens at Keller 8 Cinema in South County this weekend. 12 Strong, Peter Rabbit, Winchester and Maze Runner: The Death Cure are all now available to rent from your local Redbox. Check out 12 Strong starring Chris Hemsworth, Michael Shannon and Michael Peña, among others. P.S. Check out the Weekend Event Guide by clicking the image below. 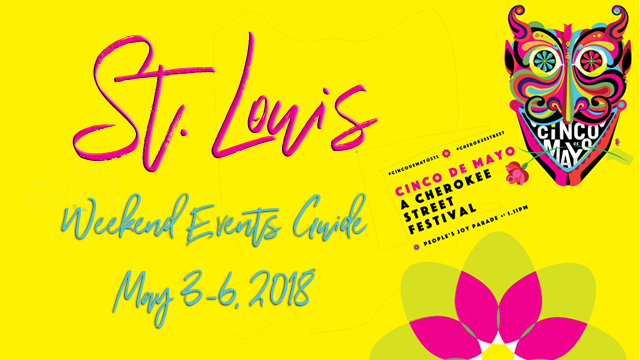 Cinco De Mayo and Microfest highlight the St. Louis Weekend Events Guide for May 3-6, 2018.